The short stories from the all-ages smash hit are finally collected in this deluxe hard cover! What Time Is It? 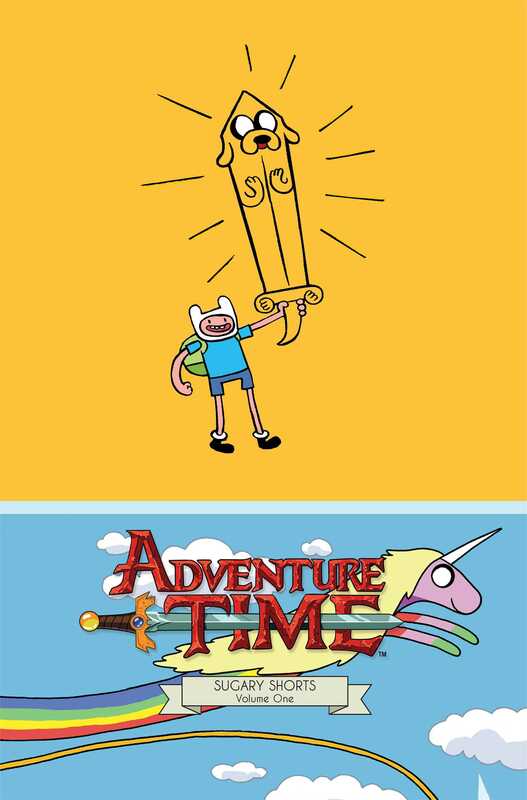 Adventure Time! Finally! The Adventure Time short stories by the comic industry’s top independent talent, previously only in the comics, are collected in this deluxe hardcover edition. Experience the Land of Ooo and all of your favorite characters including Finn the Human, Jake the Dog, Princess Bubblegum, Marceline the Vampire Queen, Lumpy Space Princess, Ice King, Peppermint Butler, and so many more in a way you’ve never seen them before. The biggest hit in the comic book industry in 2012, ADVENTURE TIME has received unmatched critical acclaim and commercial success in all-ages comics!